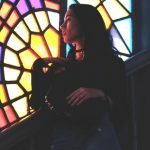 eHarmony Reviews (eharmony.com) - Is this dating site worth it? eHarmony Reviews – Is this dating site worth it? We get excited when our dating site reviews take us to one of the powerhouses of the online dating industry. 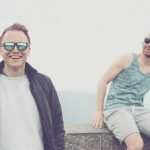 We get excited because we know we’re either going to see an incredible product and service that lives up to its name or we’re going to be left in confused bewilderment about why a site is so popular. By the end of our extensive eHarmony review, you’re going to have your answer on where they stack up and most importantly whether the site is the right dating site choice for you. If there were a King or Queen of the entire online dating industry, it would be eHarmony. The site boasts about having some of the best matchmaking success out there and the most marriages. But can they walk the walk? As a spoiler, you can see from our stars above that they not only walk the walk, but they dance the dance, and do any other tricks you could ever want an online dating site to do. In our review below, we’re going to break down all of the things that we liked about the site (tons), as well as all of the things we didn’t like about the site (very few). When you get done reading our eHarmony reviews, you’re going to be a virtual expert on the site. You’ll be fully equipped to make a decision on whether or not the site is for you. If you’d rather dive in to eHarmony and look at things yourself, use our free trial link above and start digging around. 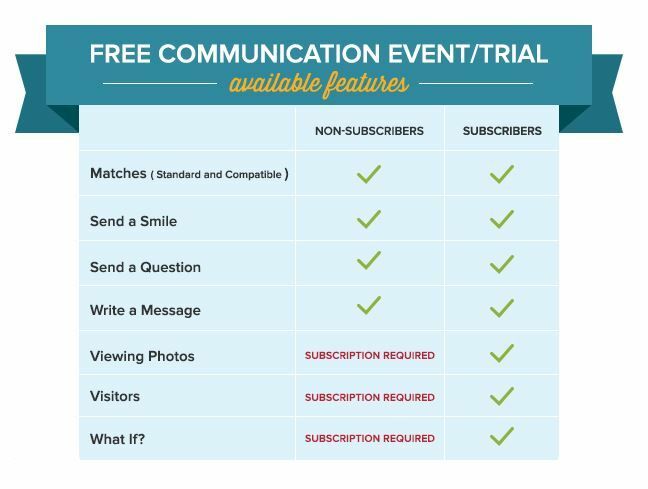 You’ll automatically be set up with their free trial which also includes the ability to participate in their free communication weekends which we’ll outline more in depth in the features section below. Without further ado, let’s start the eHarmony review! When signing up for eHarmony, it becomes clear VERY quickly that they take this process seriously. Not so seriously that it zaps all the fun, but in a way that gives you that nervous excitement because you’re pretty sure they’re going to give you a great shot at meeting that special someone. When you first go to create an account, you can choose to create one manually with your email or log-in through Facebook. Good news, they never post anything to your Facebook wall or notify your friends or anything like that. One thing that you may want to look at if you use the Facebook option is what information you want to provide to eHarmony. A bunch of stuff will be auto-selected including things like relationship status, your likes, your timeline posts…Our guess is that this is to help fill out your profile quicker, but it does seem like a lot. What you can do is deselect everything and only give them the required information which is just your name, profile picture, and any other public info that you have. It’s up to you, but this is what we chose to do because we wanted to fill out everything ourselves. Who knows what crazy stuff we have on our Facebook profile we forgot about? If you’d like to save time with the sign-up process though, by all means let them do what they do best and leave it all checked. Once you get your initial account created, it’s time to fill out your profile information. eHarmony requires that you fill everything in your profile out before getting anywhere close to the matches. This may seem like an annoyance, but it’s all part of their process. By making sure that everyone that joins eHarmony is taking the process seriously, they can ensure a much higher success rate which should get you excited. This also avoids them having a site filled with flaky singles with no pictures and incomplete profiles which is an annoyance that we see far too often at other dating sites. The sign-up process at eHarmony starts with some basic questions and then starts to get into some interesting ones that require you to type out a response. The good news is there are no character limits on the fill in questions, so you won’t be stuck sitting there twiddling your thumbs trying to think up three things you’re thankful for. Pssst, that’s actually going to be one of the questions. What best describes your religious beliefs or spirituality? Which describes your highest level of education? What’s your personal income? (They make sure to specify that your matches will never see this information. We’re not totally sure how they use it, but we assume it has something to do with their matching algorithm). How important is the distance of your match? We’re not going to post the compatibility quiz questions here because we think it might mess up the process and we want you to get the most out of the eHarmony experience. We can give you the details about how it works, though. eHarmony will ask you a series of questions about you, how you feel about yourself, what you’re looking for in a partner, and a whole lot more. 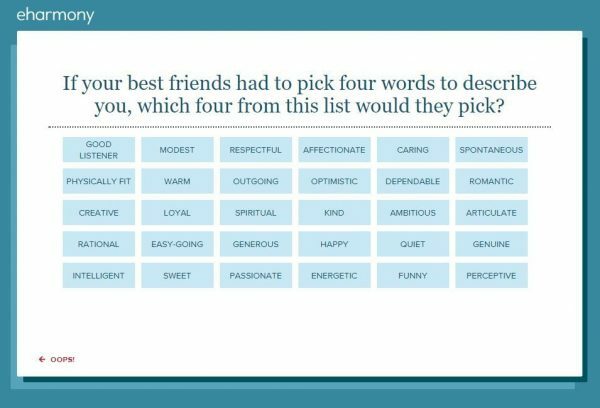 With each question you will select the level at which you agree with the question or the level at which it best or does not describe you. It’s not incredibly challenging, though, it will make you think a little about who you are and what sort of matches you are looking for. We highly recommend taking the eHarmony compatibility quiz seriously and really putting some time into your answers. eHarmony boasts that this is the secret to all of their success and if you’re someone who has been struggling to find that special someone, why not give them a chance to work their magic? How often in the past month have you felt…? How skilled are you at the following things? The above sample questions are actually nine different questions where you would select a lot, a little, or somewhere in the middle. There are six sections to the compatibility quiz and it’s probably going to take you at least 15-20 minutes to fill out if not longer if you really want to take your time on it. Once you get done filling out your compatibility quiz, the experts and the algorithms at eHarmony will go to work. Don’t worry if you can’t finish your sign-up all in one sitting. eHarmony will save everything for you if you need to come back at a later date. You’ll know you’re done when you see this magical screen. You will be asked to upload a picture to your eHarmony profile either from your computer or from your Facebook account. If you don’t feel like doing this right away, though, you are able to skip this step temporarily. Are there good, quality matches on eharmony? The most important part of any reviews we do of an online dating site is whether or not there are quality matches for you to choose from. If eHarmony didn’t have any members or they were of garbage quality, what’s the point, right? 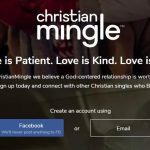 Well, as you may have already guessed, thanks to eHarmony’s well calculated sign-up process and their aggressive marketing campaigns, the singles available on the site were plentiful and very high quality. According to eHarmony’s website, millions of people from all walks of life (ages, ethnicities, nationalities, and political and religious beliefs) have used their compatibility system and have successfully found long-term relationships. Specifically, eHarmony markets to and is available in the United States, Canada, Australia, and the United Kingdom. As we commonly like to do, here’s the bottom line up front. eHarmony’s claim that they have a lot of high-quality members is true. We tested out the matches in a lot of different cities (only in the United States) including big cities and small cities and also with a lot of different parameters. What we found was plentiful. The number of singles on eHarmony has to be massive, and they all were fully filled out real profiles. Unlike some online dating sites, eHarmony does a killer job of clearing out any spam or fake profiles that may have somehow slipped through the cracks. Although, we’re not really sure how that could ever happen with their sign-up process. We actually went back with our test review profile to update our review, and our account had been deleted from the site for not being a real account. While this made a little additional work for us, we were happy to see that eHarmony was quick to review and remove an account that was not active on the site and not a “real” account. Matches are presented to you in a grid format on your member dashboard. Below, you’ll see what we saw after we got our account created. 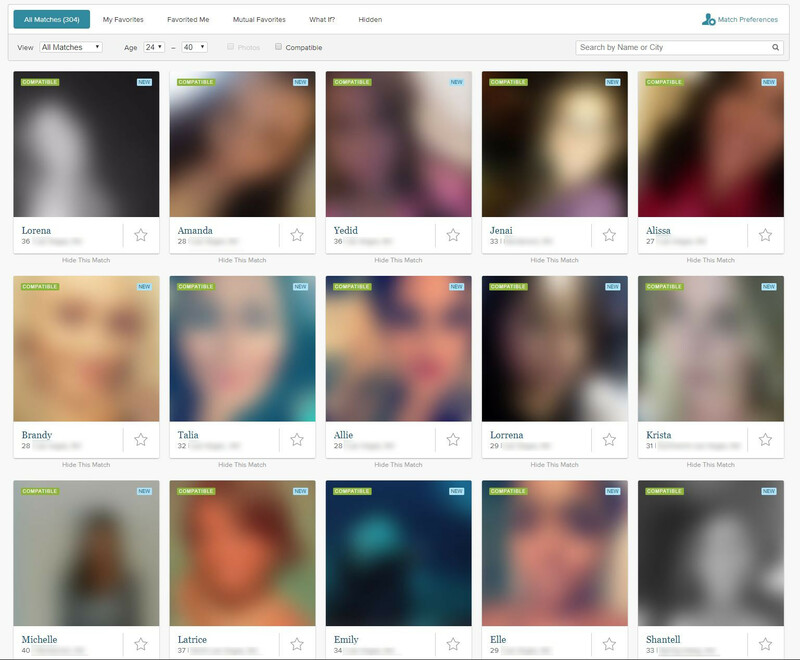 If you notice that all the pictures are blurred, this is because you can only see your matches and their profiles before upgrading to a paid account. All photos will be blurred (which we do on all of our reviews anyways, so thanks for the help eHarmony). eHarmony does this to protect its existing members from people who might not be completely dedicated to the process or at least haven’t taken that next step yet. Yes, that means people who haven’t paid for an upgraded membership. You are able to see their full profile, though, which allows you to get to know the potential matches eHarmony has found for you. Here’s what the profile looks like BEFORE you upgrade to a paid account. Notice that you can see all the information about your match except for their photos. The Two of You Together – This is where eHarmony discusses why their matching algorithm thinks that the two of you would be good together. It also will give percentages on which traits they think you both matched the best on. The bottom line result of our eHarmony reviews is the site is packed full of high-quality singles who are serious about the online dating process. We did find that most everyone on the site is looking for something serious (marriage eventually) so this is not going to be a great site for anyone who is looking for a quick fling or something super casual. If you’re looking to find someone who could develop into a partner for life, eHarmony is going to be great for you. Regarding ages of singles, we saw people all over the spectrum. It did look like the mid to late 20s, 30s, 40s, and early 50s were the most prevalent age groups, but there were quite a few singles in the early 20’s bracket and on the “more life experience” side of the bracket as well. Hands down one of the easiest five-star ratings we’ve ever given an online dating site. 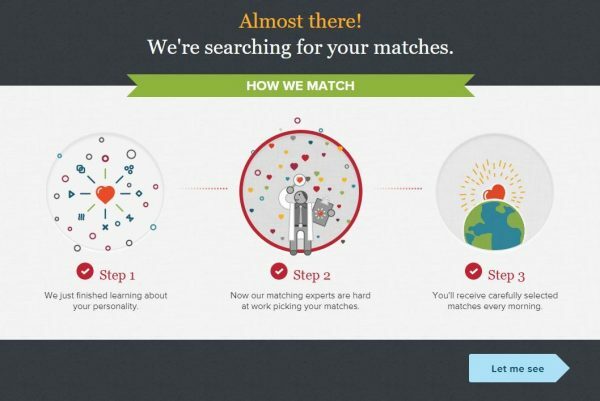 If there is something that eharmony spent more money on than marketing, it has to be their designers and coders. Their web and app interfaces are some of the smoothest and easiest to use that we’ve seen. Finding what you’re looking for is a cinch and certainly does not require a computer science degree to figure out. It’s clear they designed eHarmony for everyone to use without pulling their hair out or bashing the computer against the wall. 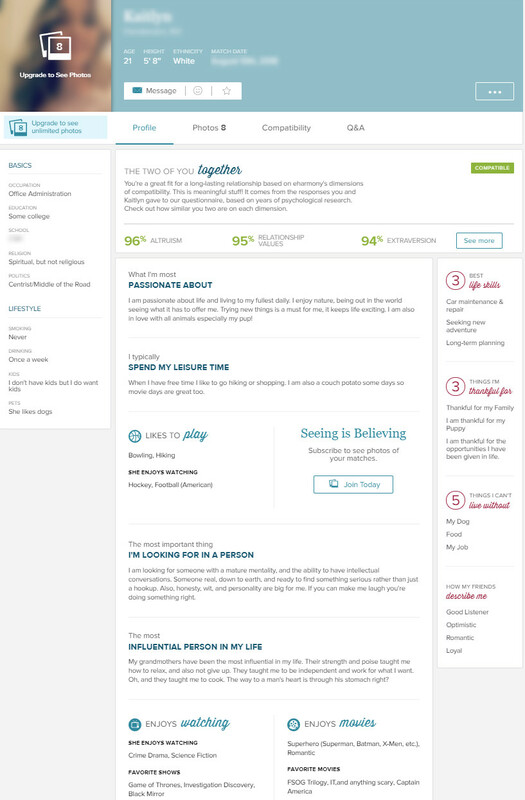 Under the activity section of eHarmony, you’ll be able to see any updates that your favorites or matches have made to their profile or new photos they have added. You’ll also be able to see who has visited your profile and what singles are checking you out. Under the matches tab, you’ll see all of the matches that eHarmony currently has for you. They’re laid out simply in a grid style format with features you can sort with across the top. You’ll also be able to update your match preferences from this screen in case what you’re looking for in a match has changed. You’ll also be able to look at your favorites, those who have favorite you, and your mutual matches. There is also a section known as “What If” that we will cover in full in the features section of this review below. Under the messages tab, you’ll find…your messages! We bet you didn’t see that one coming. The layout of the message area is clean and looks similar to how things look on Facebook messenger only a lot cleaner. Again, it’s clear that eHarmony really cares about the user experience down to the last little detail. The bottom line is that you’re going to have no problems figuring out how to use the basic interface of eHarmony. One thing that eHarmony really tries to do is make the dating process as easy as possible. One way in which they do this is through their guided communication process. The eHarmony guided communication process is a four-step process for you to get to know potential matches in a “controlled method.” While that might not sound so romantic, it helps you to ease into the process and aims to help the relationship and feeling out process happen much easier. One thing that we do want to point out before we explain how the process works is that once you are a paying member, you can skip the guided communication process altogether and go straight to sending messages like you would on a traditional dating site. This is called “Skip to eH Mail” by the site. eHarmony does say in their blog that people tend to make mistakes in the dating process by being too forward or moving too quickly when they skip straight to the eH mail. It’s for this reason that they as well as us suggest that you use the guided communication process and at least give it a chance to work before you go skipping it. Also, for those of you that are worried about people being able to message you directly without using the process, you have to accept their message and ability to skip the process. If you choose that you only want to go through the guided communication process, your potential match is going to have to respect your wishes and either go through the process or chat with someone else. If they don’t want to go through the process and be patient for you, they probably aren’t the right person for you anyways. Your potential match is then able to respond by choosing from a set of pre-written responses. 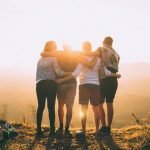 Basically, it allows you to start to get to know each other without having to worry about coming up with what to say or how to ask the questions that you really want to ask a match. The quick question process is free to use without a paid account, so you can start the process prior to deciding if you want to upgrade or not. The one perk that you will get if you do upgrade your account is that you don’t have to use the pre-programmed answers to the questions if you don’t want to. 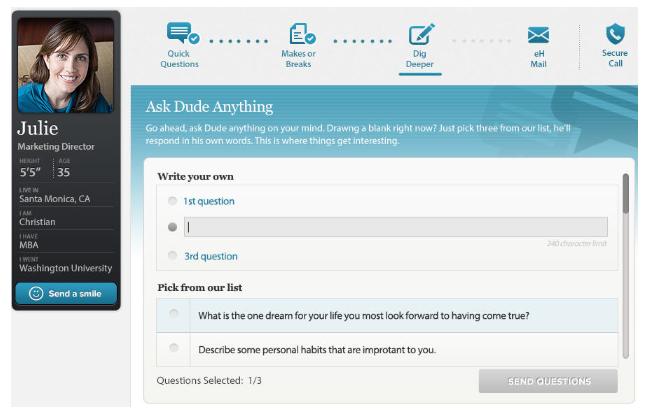 After they answer your questions (or you answer theirs), eHarmony then lets you respond with your own set of questions. You can ask as many or as few questions as you would like. The process is pretty quick so it’s not really a long drawn out step as long as the person you are messaging with logs on to respond. We have heard that eHarmony members are typically much more responsive and serious about the relationship process than members of some other comparable sites. Makes or breaks was one of our favorite parts of the guided communication process as well as the entire eHarmony review. It’s a really cool way for two potential matches to air out what is extremely important for them and what is a deal breaker. According to eHarmony, almost every successful couple that came from the site mentioned being brutally honest during the make or breaks section of the process. Your “Makes” are the things that are a must have for you in a partner. These are the things that you just can’t live with out and what “makes” a partner a great choice for you. 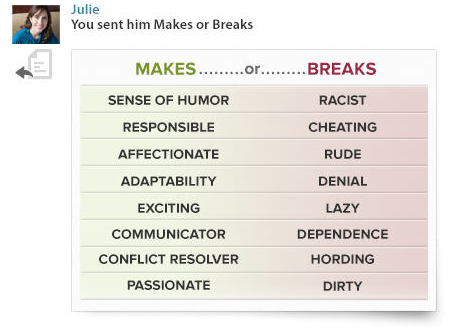 Your “Breaks” are the more important deal breakers. These are the things that you refuse to tolerate in a partner. 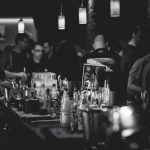 While it may stink to see qualities that you have on this list, it will save you a lot of time by not pursuing someone who isn’t okay with a particular flaw or personality trait that you might have. The Digging Deeper section of the eHarmony guided communication process is like the Quick Questions section but on steroids. In this step of the process, you can choose to use pre-programmed questions again or you can write your own. These questions are going to go a lot deeper than the initial Quick Questions and really help you to start to get to know your potential match. Responses are no longer pre-written ones that you can choose from. You’re now able to respond with your own words and really let the other person get to know you. eHarmony recommends answers here in the 5-6 sentence range to really show who you are. We completely agree with them and also would advise that you take some time on your answers and don’t just try and fly through them. 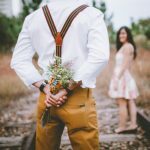 If you’re really serious about finding the love of your life, you can take a few extra minutes to answer the questions that they have deemed are important to them. eHarmony mail is the plain ole’ messaging that you get with every other online dating site. This is where you are fully on your own, the training wheels are off, and you are no longer being guided. By this point, you’ll have a pretty good idea of who the person is that you’re talking to so conversation should hopefully flow easily. If it doesn’t, you might not be compatible with that person which is completely okay. Remember, you can skip straight to this step, but neither eHarmony or us recommend that. eHarmony has a lot of great, yet simple, features to help make your online dating experience that much more successful. If you’re someone who loves a million different features, bells, and whistles to keep you busy, you aren’t going to like eHarmony. During our eHarmony reviews, we found that they care about one thing – helping you find love. This means that they didn’t go overboard with a ton of unnecessary features that just entertain and don’t help to achieve your goal. Let’s take a look at a few of these features. You may notice when you get onto eHarmony that they don’t have a traditional search feature. Nothing like starting the list of features with a feature they don’t have, right? Instead what they do is present matches to you that they think are compatible. eHarmony really likes to be in the driver’s seat when it comes to helping you pick your matches. Imagine them like your good friend who always wants to play matchmaker, except they are professionals and are really, really good at it. You don’t produce millions of successful long-term relationships just by dumb luck. 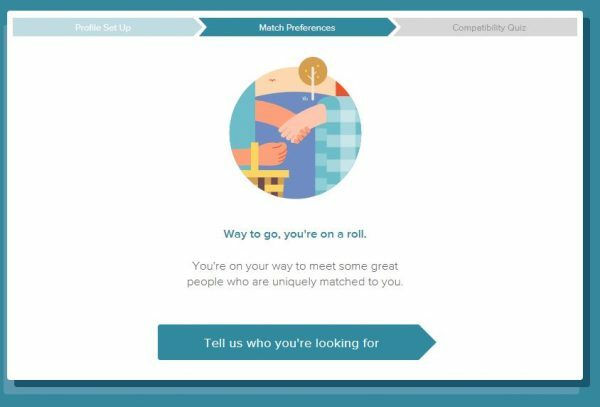 You are able to look outside of the matches eHarmony presents you and you are able to search through your matches as well as the matches outside of your preferences. In a sense, this is a search function, but it’s definitely not what you are traditionally used to and not the method they seem to prefer for you to use. You are also able to update your match preferences which will change who shows up in your match feed. We don’t really recommend doing this just to see more people. Trust the system and explore the matches they give you. Why does eHarmony have no real search feature? They do this because they want you to trust in their systems and the processes they’ve put in place. Let’s be honest for a minute…if you’re here, you’re obviously in need of some help, and eHarmony wants to make sure that you’re taking it. They have such a high success rate with pairing up perfectly compatible people that we’re totally ok with the fact that they choose to do the searching for you. Another fun feature we liked during our eHarmony review is the What If? feature. The What If? feature is their swipe type matching system. It’s a system that allows you to jump a bit more into the driver’s seat of finding your match. They’ll present you with up to 30 different matches a day with a picture and some basic information about the person. You’ll swipe left or right depending on whether you are interested or not. If you choose someone you like, eHarmony will work to get you matched up with them. It’s a fun system that allows you to see a lot of different faces and potentially see someone special that you might have missed or is not popping up in your match feed. For those of you that are looking to see a lot more matches every day, this is the feature you’re looking for. It’s like Tinder, but with a lot classier group of people. No offense Tinder users…what we meant to say is a group that is more serious about relationships and not just having a good time. 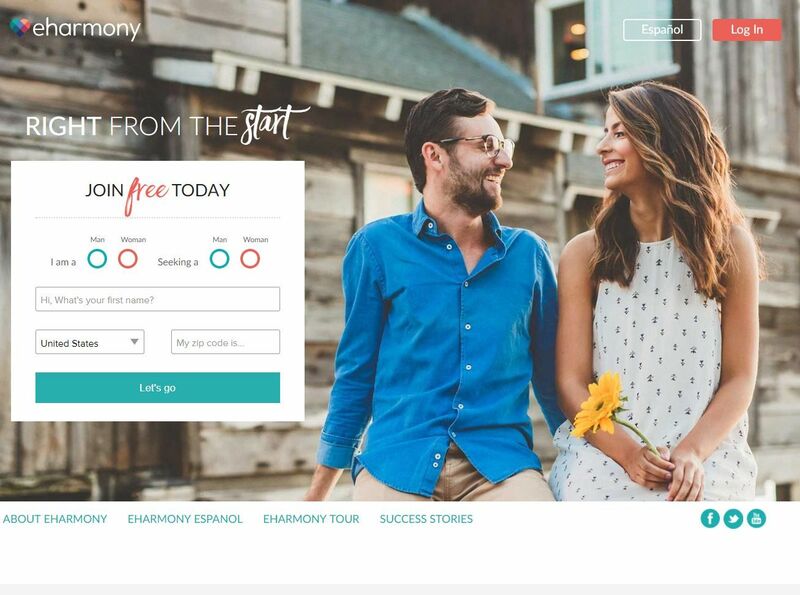 For those of you that aren’t quite ready to join eHarmony, they have free communication weekends fairly regularly that will let you use a lot of the features for free. What we recommend is that even if you aren’t planning on joining the site, you should create an account just so you can be ready for one of these weekends. During the weekend, any member of the site is free to flirt, send questions, or write messages/respond to other singles. There are a few features that you won’t get access to without upgrading, though. These are the ability to see who visited your profile, the What If? function, and the ability to see other member’s photos. The last one is a bummer, but you’ll still be able to interact and start getting to know other members and see if it’s worth it for you to upgrade and join the site. If you’d like to learn more or get signed up for the next free communication weekend at eHarmony, we’ve put together a full guide with all of the important information you need to take advantage and make sure you don’t miss out on this awesome feature. One of the neatest sections of the member profile area we found during our eHarmony review is the compatibility tab. 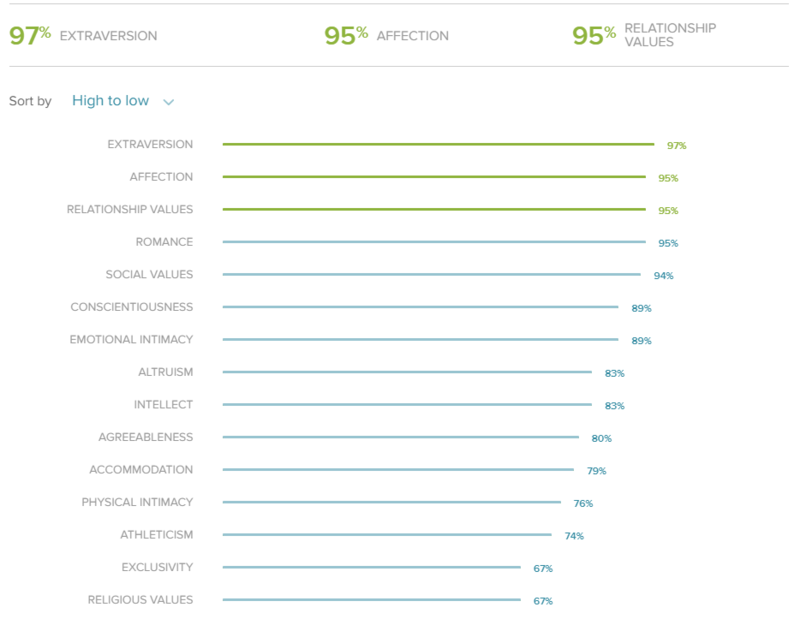 eHarmony matches you with other members based on 15 different traits. If you click to the compatibility tab of a member’s profile, it will tell you exactly what percent they think you match based on those traits. If you’re looking for someone that matches you strongly in some characteristics, you’re going to like playing around with this tab. Also, if you are a data nerd you’ll love it to. The drive to understand, respect and accommodate differences of opinion. Your tendency to feel and show your love with partners. Being kind, sympathetic, cooperative, warm and considerate. How important it is for you to help others. Being energetic, athletic and keeping physically fit. Being diligent and organized as opposed to easy-going and disorderly. Feeling comfortable sharing personal thoughts and feelings with others. How important you feel it is to only have one partner at a time. Enjoying large groups of people and being the center of attention. How clever and intelligent you think you are. The level of importance placed on the physical aspect of a relationship. The importance you place on having a happy, healthy relationship. How important religion and religious values are in your daily life. How important romance and closeness are to you in a relationship. The importance you place in having friends. eHarmony has an extensive FAQ section that can be located from the bottom footer of the website. From our review, they look to have answers to almost any common question we could think of. What we did take a while to find was how to contact them with any other questions not covered. If you click on a question and scroll to the bottom, you’ll find an email and phone support option. We would have liked to see these more prominently posted somewhere, but it’s clear they are trying to get people to use the FAQ support first. So, if you need help, go the FAQ section, click on a question and scroll to the bottom. You’ll see the link for email support. Price | How much does eHarmony cost? We’ve noticed with eHarmony that pricing can fluctuate without a lot of rhyme or reason. What does this mean? Well, we would say that if it’s too expensive for you for now, create a free account (so you can use the free communication weekends) and then check back periodically to see if the price has changed. If the price is not too expensive for you, just go ahead and sign up. Remember, you aren’t shopping for a new pair of jeans; you’re looking for the future love of your life. It’s ok to invest a few bucks in yourself. Both of these plans give you full access to messaging, seeing photos, as well as browsing matches outside of your preferences (basically, being able to see anyone on the site). 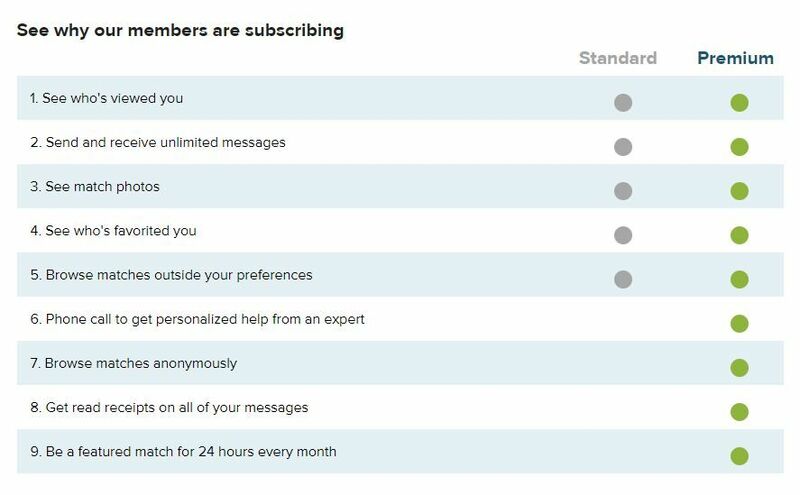 The big differences of what you get when you upgrade to the Premium plan is that you’ll get some phone support to get you started, be able to search around anonymously, get read receipts on all of your messages, and be a featured match for a full day every month. Let’s talk about these one at a time to see if they’re worth the extra few bucks every month. The personalize phone support sounds cool, but honestly to us doesn’t seem like it’s that necessary. The site is simple to use and so user-friendly that we highly doubt you’re going to need anyone on one help with it. The ability to search anonymously may or may not be something that’s important to you. This feature is really going to come down to a personal preference. If you don’t want people seeing that you’re looking at them, you’re going to love this. If you are a bit more like us and don’t really mind people knowing we’re checking them out, this is ok. The read receipts are 100% the best feature on this list. In our opinion, this is worth the upgrade all by itself. There’s a bit of mental sanity that comes with knowing whether or not a potential match has read your message or not. If you’ve never dated online before, you might now know how much this helps put your mind at ease. When you send a message to a new potential match, you’ll always want to know whether they have read your message and chosen not to respond yet or if they just haven’t gotten a chance to read things yet. Trust us on this one; you’re going to want this feature. Being a featured match anywhere online is always a nice perk. It’s going to get you more interactivity and more interest from members who might not have seen you yet. Is the upgrade worth it just for this? It’s debatable, but it is a nice perk, and we’ve already deemed the upgrade worth it just for the read receipts so why not enjoy this perk too. You will notice in the chart below that eHarmony is more expensive than most online dating sites out there (outside of those in some of the niche sectors). This may seem like a negative at first, but a higher priced membership does a few things. First, it ensures that every single on the site is serious about the process. If it is only a couple dollars to join, you’ll end up with a lot of riff-raff that make the process slower and more painful. Second, the online dating world is one of those industries where you get what you pay for. eHarmony clearly takes the money they make from charging a bit more and invests it back in their product. They’re always working to make the dating process more seamless and more efficient which ultimately means you’re going to have more success. In our opinion, this is totally worth paying a few extra bucks a month. Here are the current prices for an eHarmony membership. The bottom line of our eHarmony review is that it is one of the best online dating sites we’ve seen out there. While it is a little pricier than some of the other options, it is completely worth it. The features and the quality of the overall experience far outweigh the few extra bucks the membership costs. Additionally, if you’re serious about finding someone to spend the rest of your life with, that might be worth a few extra bucks. If you’re someone who is looking for a casual fling, eHarmony is not going to be worth it for you. You’re going to have a big headache running into people that are frustrated with your relationship goals. If you’re someone that is serious about finding love and something long-term and lasting, then eHarmony is certainly going to be worth it for you. You’re going to LOVE it.